At a time when digital technologies are impacting on the success and sustainability of traditional models of journalism, hyperlocal journalism seeks to restore journalistic integrity, build community, incite change and engage audiences. This book argues for the increased importance of these new forms of localized reporting in the digital age. Hyperlocal Journalism and Digital Disruptions begins with the fundamental question of what hyperlocal journalism is, then focuses on three case studies which illustrate its potential to thrive when the right balance is struck between audience engagement, investment and respect. Each case study examines a different start-up in Australia and New Zealand. Although the notion of hyperlocal journalism is not new, the ways in which these regionalized stories are now being told has evolved. 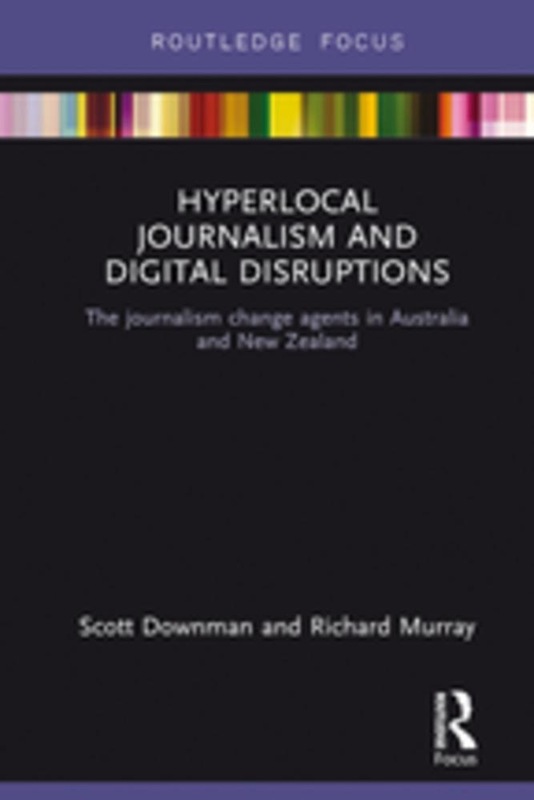 This book demonstrates the increased necessity for tailored approaches to creating and providing hyperlocal journalism in order to engage targeted audiences, meet their needs for news and reclaim authenticity and credibility for journalism. This is a valuable resource for researchers, academics, students and practitioners in the areas of Digital Journalism and Media Studies generally. Acquista Hyperlocal Journalism and Digital Disruptions in Epub: dopo aver letto l’ebook Hyperlocal Journalism and Digital Disruptions di Richard Murray, Scott Downman ti invitiamo a lasciarci una Recensione qui sotto: sarà utile agli utenti che non abbiano ancora letto questo libro e che vogliano avere delle opinioni altrui. L’opinione su di un libro è molto soggettiva e per questo leggere eventuali recensioni negative non ci dovrà frenare dall’acquisto, anzi dovrà spingerci ad acquistare il libro in fretta per poter dire la nostra ed eventualmente smentire quanto commentato da altri, contribuendo ad arricchire più possibile i commenti e dare sempre più spunti di confronto al pubblico online.